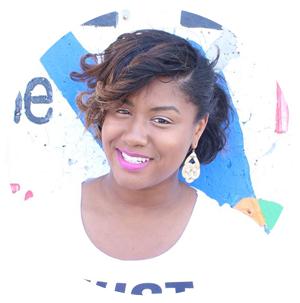 ​El Jones is a spoken word activist and teacher. She was the two-time captain of the back-to-back national championship Halifax slam team in 2007 and 2008. El has performed all over Canada, including at the 10th Anniversary All-Star edition of When Sisters Speak in Toronto. In 2012, she was sponsored by Citizenship and Heritage Canada on a reading tour of Nova Scotia with George Elliott Clarke. Her poetry is particularly committed to political causes and social justice and has worked extensively with organizations around Halifax performing and presenting on issues of social change. She is dedicated to using poetry in prison outreach and youth engagement, and volunteers twice a week at Centerline Studio on the corner of Uniacke and Gottingen. El is current artistic director of Word Iz Bond Spoken Word Artist Collective and can be seen performing on the third Thursday of every month at the Company House at 2202 Gottingen Street in Word Iz Bond’s SPEAK! series, one of the oldest continually running spoken word series in Canada. She currently teaches in the African Canadian Transition Program at NSCC and in the Women's Studies program at Acadia. El believes that poetry can empower the powerless and give voice to the voiceless. Beloved storyteller Wanda Robson is a sister of Viola Desmond, civil rights icon and pioneer African-Nova Scotian businesswoman. Robson enrolled at Cape Breton University in 2000 and that same year, began sharing her sister's story at schools and community groups. She graduated with a Bachelor of Arts degree in 2004. In 2008, Robson set out to raise further public awareness of the circumstances of her sister's arrest. Due in large part to her efforts, the Nova Scotia government pardoned Viola Desmond in 2010. Robson is the author of "Sister to Courage." 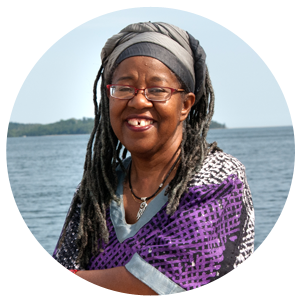 Sylvia D. Hamilton is a multi awarding Nova Scotian filmmaker and writer who is known for her documentary films as well as her publications, public presentations and extensive volunteer work with artistic, social and cultural organizations on the local and national levels. 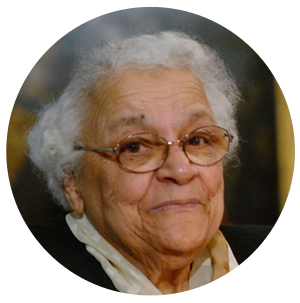 She was born in Beechville, Nova Scotia, a community founded by the Black Refugees from the War of 1812. She has a BA from Acadia University, an MA from Dalhousie University. She has been recognized with honorary degrees from Saint Mary’s, Dalhousie and Acadia Universities, and with an honorary diploma from the Nova Scotia Community College. Her awards include a Gemini, the Japan Broadcasting Corporation’s Maeda Prize, the Progress Women of Excellence Award for Arts and Culture, the CBC Television Pioneer Award, Nova Scotia’s coveted Portia White Prize for Excellence in the Arts, and the National Expression Award-Trailblazer Award. She was a contributor to and co-editor of We’re Rooted Here and They Can’t Pull Us Up: Essays In African Canadian Women’s History, published by the University of Toronto Press, the first scholarly work to be published in this field in Canada. Her Masters’ thesis is titled, “African Baptist Women as Activists and Advocates in Adult Education”. Her book, And I Alone Escaped to Tell You, published by Gaspereau Press, was a 2015 finalist for national and regional poetry awards. She is featured on CBC Radio's The Next Chapter, hosted by Shelagh Rogers. Her multi-media installation, Excavation: Here We Are here, is on display at Dalhousie's Schulich School of Law from January 15 to February 13, 2016. Ms. Hamilton volunteers her time and knowledge to a wide range of voluntary organizations. As an integral part of her practice, she consistently mentors, encourages and supports emerging filmmakers and artists. She has chaired local and national film and arts related juries and is a member of the Black Loyalist Heritage Society Board of Directors. She served as Nancy’s Chair in Women’s Studies at Mount Saint Vincent University and now holds the Roger’s Chair in Communications at the University of King’s College in Halifax where she teaches part-time. 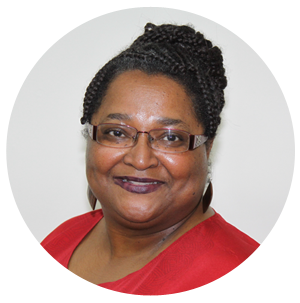 Dr. Wanda Thomas Bernard is a Social Worker, Educator, Researcher, Community activist, Advocate and Mentor. Dr. Thomas Bernard has worked in mental health at the Nova Scotia Hospital, in rural community practice with the Family Services Association, and since 1990, has been a professor at the Dalhousie School of Social Work, where she held the position of Director from 2001- 2011. In 2013 she was the Harrison McCain Visiting Scholar at Acadia University. She has developed and taught courses in the areas of direct practice, at the undergraduate and graduate levels and has over 100 peer reviewed publications. Dr. Bernard is the Chair of the Nova Scotia Advisory Council on the Status of Women, and a former Board Member, and Chair of Governance Committee of the Boys and Girls Clubs of Canada. She is Past-President of the Association of Black Social Workers and one of its four Founding Members. She previously served as a Commissioner of the Nova Scotia Human Rights Commission, The Black United Front and the National Black Coalition. Dr. Thomas Bernard is highly regarded for addressing racial and cultural diversity in social work education and in the community. 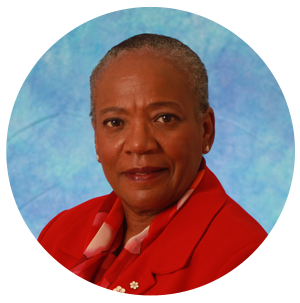 She is a thoughtful leader who has generously shared her expertise in family and social development with local, provincial and national organizations, notably as a founding member of the Association of Black Social Workers in 1979. Dr. Thomas Bernard has received numerous awards, certificates and recognition over the years for her trendsetting work. Dr. Thomas Bernard was awarded the Order of Canada Award by Governor General, Adrienne Clarkson in June 2005 and most recently was awarded the Order of Nova Scotia in December, 2014. She serves as an Elder at the East Preston United Baptist Church and enjoys the opportunity to blend spirituality and social work in most meaningful ways there. Bernadette Hamilton-Reid was born in the small Afrikan Nova Scotian community of Beechville where she is still actively involved in her church and community as Sunday School Superintendent and a member of the Beechville Education Society. Bernadette pays homage to her late grandparents from Beechville, Deacon Reginald Jr. and Eulah (Johnson) Hamilton and from Cherry Brook/Lake Loon, Deacon James Jr. and Rosella (Sparks) Bundy. Bernadette has been married to Carl for over 25 years and they have two beautiful daughters, Alyson who resides in Toronto as a Health and Fitness Consultant and Samm “Splash” Reid who resides in Halifax and is a phenomenal R & B Vocal Artist. Bernadette prides herself in being active in the community always advocating for the education of our children of Afrikan ancestry. Bernadette was a member of the Halifax Regional School Board from 2000-2006 where she held the positions of Vice-Chair, Chair of the Program and Policy Committee and Audit Committee. Bernadette was also the 1st Vice President of the Nova Scotia School Boards Association. Bernadette coordinates a Cultural Academic Enrichment Program afterschool at Joseph Howe School under the direction of the Black Educators Association (BEA) and she has great pride seeing the joy on the children’s face as they learn about their culture and heritage and receive support in math and literacy and other subject areas. Bernadette is also a member of the Black Cultural Centre (BCC) where she sits as a member of the Board of Directors as a community member. Bernadette believes it is very important for us to protect, preserve and promote Afrikan culture and heritage and is very involved in the Program Committee of the BCC. Shauntay Grant is a Nova Scotian writer and storyteller. She publishes, performs, and teaches in several literary genres, and as Halifax’s third Poet Laureate she organized Canada’s first national gathering of Canadian Poets Laureate in 2010. 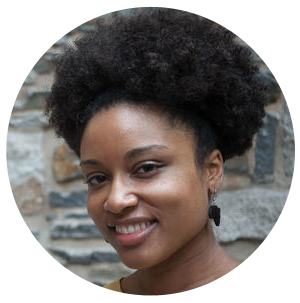 A descendant of Black Loyalists, Black Refugees, and Jamaican Maroons who came to Canada during the 18th and 19th centuries, Shauntay’s love of language stretches back to her storytelling roots in Nova Scotia’s historic Black communities. Her awards and honours include a Best Atlantic-Published Book prize from the Atlantic Book Awards, a Poet of Honour prize from Spoken Word Canada, and most recently a Joseph S. Stauffer Prize in Writing and Publishing from the Canada Council for the Arts. Shauntay is one of four Canadian authors selected by the Writers’ Trust of Canada for its prestigious Berton House Writers Retreat in Dawson City, Yukon for 2016. She lives in Halifax, and teaches creative writing at Dalhousie University. 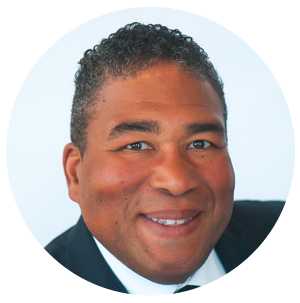 Tony Ince is Nova Scotia’s Minister of Communities, Culture and Heritage and African Nova Scotian Affairs. He was elected as an MLA in 2013 for the constituency of Cole Harbour – Portland Valley. Minister Ince was born and raised in the north-end of Halifax Nova Scotia. In addition to working for the Department of Community Services as a youth and family counsellor, he has chaired the African Canadian Advisory Board for Nova Scotia Community College and is a past member of the African Nova Scotian Advisory committee for the Halifax Regional School Board. As a teacher and educator, he has instructed history and drama, and been involved with instructing equity and diversity programs within Ontario high schools. He has a passion for social justice and fairness and a strong commitment to issues affecting youth. Tony Ince was also an actor. He has worked in the television and film industry since 1994; having appeared in many movies and commercials. Recently, Mr. Ince was part of the Stryker-Indigo New York Production Team during filming of the documentary BLACK ICE. He is an alumnus of St. Francis Xavier University. LaMeia Reddick is a creative, multifaceted community leader making waves along the shores of Nova Scotia. She is rooted in the history and legacy of North Preston, Canada’s largest settlement of black Canadians. LaMeia is a seeker and keeper of cultural heritage and knowledge. She is committed to community education and development and has been successful at turning her passion for change into a career. After moving away in 2013 to spread her wings in the big city of Toronto, LaMeia flew right back home to North Preston after one year. She had a clear vision that her passion and purpose was to affect change in Nova Scotia. 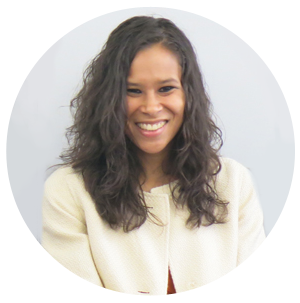 In 2015 LaMeia launched her private consulting practice called, LaMeia Kinnects. The business is built around a concept that she has named Kinnected Leadership. Kinnected Leadership is about creating and sustaining a collaborate culture of excellence that serves and empowers future generations. LaMeia has been featured in a number of publications in Nova Scotia, including the Nova Scotia Barristers Society’s, Access to Justice #TALKJUSTICE report. She has recently been named a Change Agent in Halifax Chamber of Commerce Business Voice Magazine. The overwhelming support LaMeia receives from her community is what keeps her motivated. LaMeia hopes that her legacy and spirit will allow all to reflect on the ways in which truth and love can truly bring about change in the world.